Continuing with the travel theme…Our magical holiday in Bali was full of exciting discoveries, from local fruit (imagine yellow watermelon!) to the fact that the Balinese never give presents to one another. What a shame, right? Oh well, we are all different, and diving into another culture was an eye-opener, no doubt. However, we are here to discuss gifts, and there is plenty of choice for tourists and expats across this tiny island. Anyone who comes back from Indonesia praises their furniture and art. Honestly, wasn’t impressed—if you are after a cheap chest of drawers and a bright painting to hang nearby, then go for it. Both would cost you about 150 U.S. dollars (the preferred tourist currency in Bali), but then add transportation costs on top, and the bargain doesn’t seem as attractive anymore. I tend to be more practical (especially whilst travelling to far-away destinations, luggage restrictions can be pretty brutal, unless you are a lucky owner of a first-class ticket), so my number one choice is always jewellery. 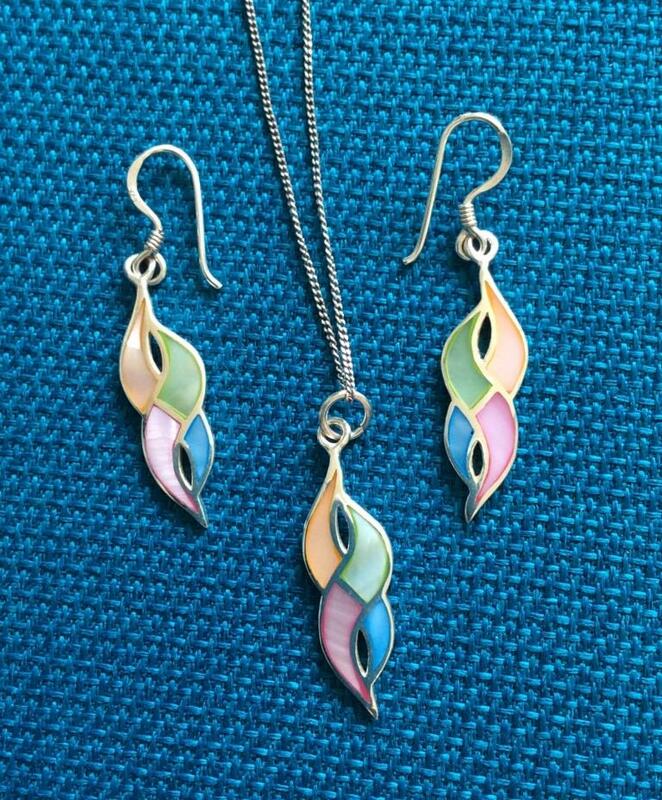 Hand-made, locally-inspired jewellery is a great gift. So it was no surprise that my boyfriend asked to help him pick a birthday present for his mother whilst we were there. She is a beautiful Italian woman with bronzed skin and deep hazel eyes, so she tends to wear a lot of white. 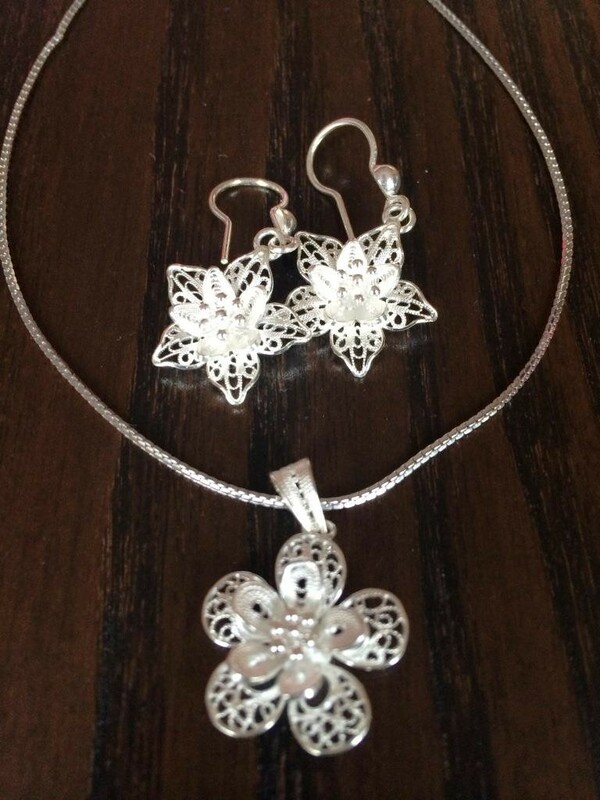 We decided to go with an intricate set, made out of dozens of little silver balls and strings. Carefully wrapped in cotton and placed into cute little boxes, there wasn’t much need for further packaging—just a gift bag with a note from us. How about a challenge? Spiritual gifts! Well I am a man whom has no direction when it comes to spirituality, so maybe the wrong question to be asked. But something spiritual should be aimed at rejuvenating the soul with little cost and not materialistic. Any ideas? Actually, that’s an idea! Every Balinese temple had volunteers who gladly chatted to everyone about some very deep questions 🙂 did you have a similar experience there? you got me thinking even further – how do you address the need of the modern materialistic gift-giving but still deliver something spiritual? No I have never been to Bali and I am not familiar with their spiritual customs. It is an interesting point that you raise about materialism and gift giving, and relating it to being spiritual. I gesture can demonstrate immense spiritual power, depending on the gesture of course!